When I was young, my parents would take me to the original Mumbai ‘mall’ — Akbarallys — where Santa Claus would be the star attraction. Later in college, we’d go to midnight mass on Christmas Eve, the church bells providing a sense of solace in troubled times. And while I remain a bathroom singer, Christmas carols have always delighted me. And what would Christmas be without ‘Rudolph the Rednosed Reindeer’ gently playing in the background on the old tape recorder. And before the Internet Hindus now question my religious identity, let me proudly say that I celebrate every festival with equal fervour (and food). Diwali is the time of family gatherings, crackers and sweets, of lamp bedecked beauty and worshipful conviviality; Holi is a burst into colourful merriment festival, some of my best moments with my kids were Holi afternoons of shrieking colour-laden abandonment with a budding seductive summer peeping through the trees. 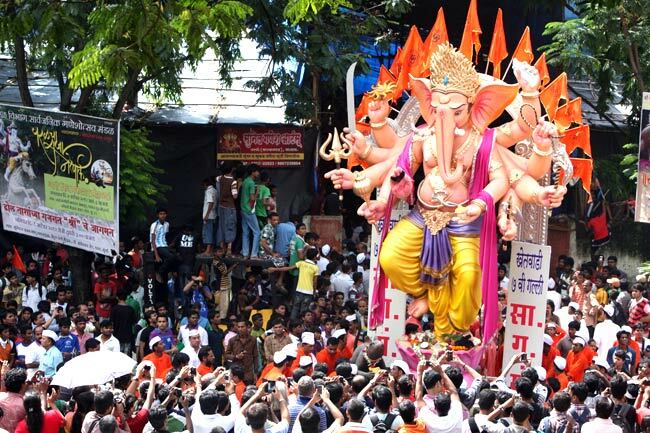 Ganesh Chaturthi in the Mumbai monsoons is special too, bringing back childhood memories of taking the idol of the Vignaharta to Chowpatty beach with the promise of returning the next year. I celebrate Eid as well and relish invitations from friends for lip-smacking iftaars. And at Harmindar Sahib one memorable time, I found myself transported at the luminous calmness of the gurbani wafting across water. In India, at every change of season comes the joy of festival, each an opportunity to celebrate a land where crucifix and mosque, temple and gurudwara form a subcontinental canon where sufi saints, bhakti Hinduism, folk Christianity can be found sheltering under the same banyan tree which seems to whisper: Utsav! Which is why the decision by the Narendra Modi government to declare Christmas as ‘Good Governance Day’ troubles me: It is a completely unnecessary attempt to confuse the spirit of a festive occasion with political symbolism. Yes, December 25 is the birthday of Atal Bihari Vajpayee and Pandit Madan Mohan Malaviya, both icons now in the Modi regime for different reasons. Atalji is the first BJP prime minister, a much-respected political figure who deserves greater recognition. I reported from Lahore during his famous bus yatra, and his effort to cut through decades of India-Pakistan mistrust and hostility with foresight and statesmanship was deserving of a Nobel Peace Prize. That the chorus to give Atalji a Bharat Ratna only kickstarted after a BJP-led government returned to the Centre is reflective of the partisanship that plagues our political culture. Surely, a UPA government could have reached out to an ailing leader much earlier. Pandit Malaviya too arguably deserves better. An educationist and politician, he has been rather typecast by nationalist historians as a ‘Hindu nationalist’, almost to the exclusion of his significant contributions to the freedom movement, and to the setting up of the Banaras Hindu University, for decades North India’s premier institute of learning. If Prime Minister Narendra Modi then wants to celebrate Atalji’s life and the memory of Pandit Malaviya, few should have any objection: The question is, should Christmas, a grand festive occasion across several parts of India, become the date for the celebration? Just look at the original idea suggested by the HRD ministry: An essay and elocution competition on the December 25 for children to speak out on good governance, effectively ensuring their attendance in school on a holiday. It was only after a newspaper exposé that the government backed off, while putting up the rather lame excuse that participation was in any case only optional. It doesn’t stop there: Now, there are large advertisements in newspapers of various government functions that are planned for Christmas Day, each designed to spread the message of good governance. Should every day in the year not be an occasion to promote the values of good governance? Why make it a once-a-year ritual to be ‘celebrated’ on the birthday of a notable individual through the brazen use of State machinery? In any case, what is this Indian obsession with birth anniversaries of leaders? When the Congress was in power, every August 20 and November 19 saw newspapers flooded with advertisements of Rajiv and Indira Gandhi, all being issued by government departments. Could there have been a greater waste of taxpayers money? Wasn’t there a better way to remember the contribution of the former prime ministers? Now, the NDA seems to have decided that what the UPA could do, we shall imitate, if not go one better. Only the ‘faces’ to be remembered will change: So out go the Gandhis, and in come the Deendayal Upadhyayas. Moreover, the ‘good governance’ day idea comes at a time when there appears to be a concerted attempt being made by a section of the Sangh parivar to demonise the Christian community by raising the bogey of conversions and insist on so-called ‘ghar wapsi’. Surely, there cannot be a more inopportune moment to almost force a minority group to accept that one of their most holy days, celebrated as a national holiday for centuries, must now be seen as part of a state sponsored ‘good governance’ programme. If the prime minister wants to win the hearts and minds of minorities, then this is hardly going to be endear him to millions of Christians and those who value the spirit of a unique multi-cultural society. Parliamentary affairs minister Venkaiah Naidu has said that “what can we do if Atalji was born on December 25”. Maybe, he should ask the former prime minister, who symbolises a more plural, accommodative polity, what would he have seen as his raj dharma.